The one-of-a-kind Boston Public Market is perfectly situated within reach for the holiday season. Last week for lunch, I strolled over and stopped by the Boston Smoked Fish Company stand to sample their famous smoked–haddock tacos paired with a crunchy lime-cumin slaw. I chatted with partner, Chris Avery who enthusiastically shared the story behind the niche company and its sustainably harvested fish. Beginning as a hobby, Matt Baumann and his brother used their father’s smoker to experiment with different kinds of local trout and salmon. After an extensive amount of testing brine combinations, Matt decided to leave his career as an attorney to follow his passion as a fish smoker. He recruited his former law school buddy, Chris to launch the company in June 2013. Today, the team behind Boston Smoked Fish Co. prides themselves on their small batch, short-brined, low-sodium smoked fish. 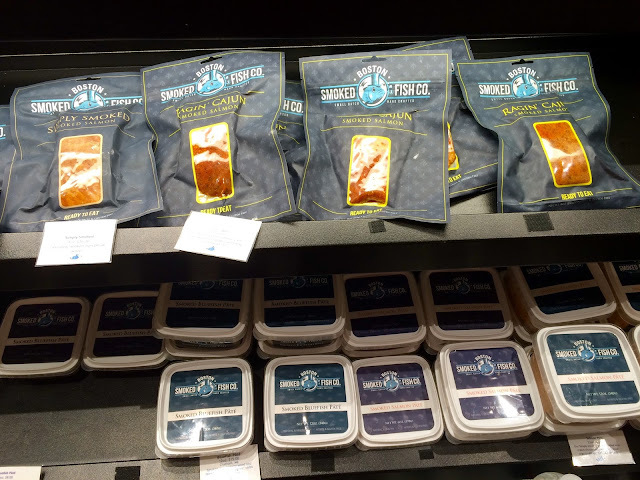 The fish is picked up each morning on the Boston Fish Pier and transformed into stellar products like their Smoked Bluefish Pâté, Ragin' Cajun Smoked Salmon Filets, and Salmon Bacon. In addition to the Boston Public Market, the items are sold at specialty stores and eighteen local farmers market. With the momentum, the team has plans to expand their production space from ~500 square feet to ~5000 square feet. The pâtés are wonderful spread on crackers, and the incredibly flavorful filets are showstopping when enjoyed as is, flaked atop a fresh salad, or simply tossed into spools of pasta. I was so eager to experiment with the Simply Smoked Salmon that flakes so beautifully. I heated up some doughy naan, layered some rich and tangy crème fraîche on top, flaked the velvety pieces of smoked salmon across, and then scattered some arugula, capers and red onion. Brush both sides of each naan slice with EVOO and lay on baking sheet. Bake for 5 minutes until warmed and toasty. Remove from oven and allow naan to cool slightly before topping. To assemble, spread each slice with 1/4 cup of the the crème fraîche. Evenly distribute the Simply Smoked salmon, sliced red onions, capers, arugula and dill atop each slice. Drizzle with the lemon juice, EVOO, salt and pepper to taste. Cut into slices and serve. 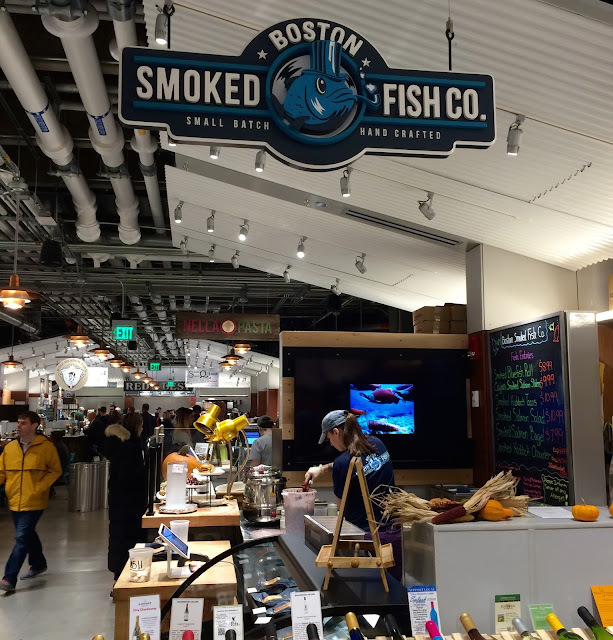 I look forward to returning to Boston Smoked Fish Co. to sample their Ragin' Cajun Smoked Salmon Sliders, Smoked Bluefish Rolls, and of course, to try the other prepared filets and pâtés.What a catch for Boston! Corporate events and activities are impressive tools for promotion and in developing popularity with the customers - both new and old. Successful events at seattle convention center employ creative ideas and the prosperity of the social media opportunities that are available.